Word for Today: Are you a friend of Jesus? Word for Today:Are you a friend of Jesus? 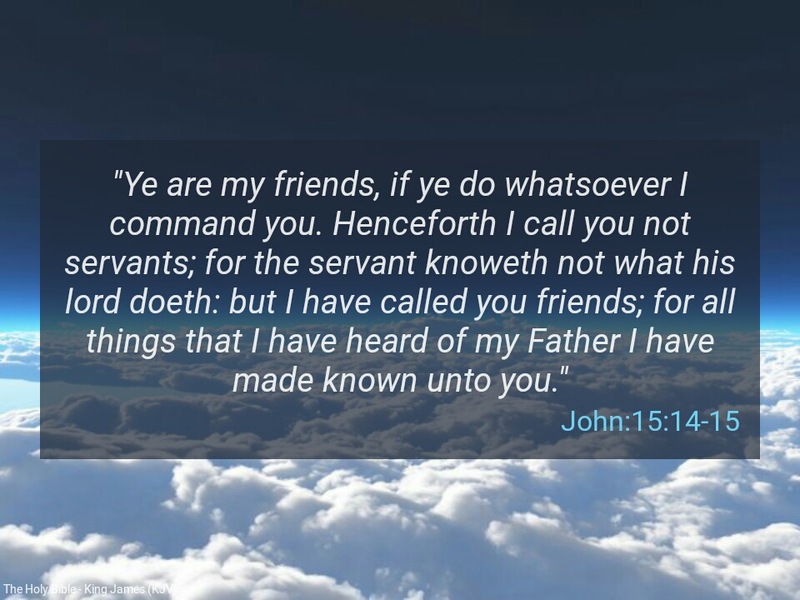 Are you a friend of Jesus? The only requirement for being a friend of Jesus is total obedience to His commands according to the master Himself. How much time are going to spend with the Word of God today? Previous Previous post: Word for Today: Every good work you do is for the LORD. Next Next post: Word for Today: No unrighteousness with God.